On August 17, 1988, the then President of Pakistan General Zia Ul Haq died in an air crash. It was termed as an accident then. But was it really an accident? A very important person of the time Johan Gunther Dean, the then Ambassador of the US to India did not agree. Is he suggesting that Zia was killed? Who killed Zia then? With this suspense the book unfolds the sequence of events and analyses the opinion of various key figures about the Indo-Pak relations, the role of Russia, US and goes on to conclude that it was just not an accident. A larger conspiracy was behind it, which largely remained at bay from common knowledge. The Johan Gunther Dean’s papers stored in the Jimmy Carter Presidential library forms the basis of the book. At 4.30 pm on August 17, 1988, the President and a powerful elite including some top generals and US Ambassador to Pakistan boarded the “Pak One”aircraft took off from Bahawalpur airport. The group had gone there to a firing range to witness the field tests of a US made tank which the Army was evaluating to induct to the defenseforce. Just after take off, the VVIP aircraft malfunctioned and hit the ground after staying in the air for a few minutes. There was near-total destruction of the bodies of all onboard. The chief opponent of Zia, Benazir Bhutto called it a “Wrath of God”! Ronen Sen, the powerful joint secretary in the PMO handling sensitive intelligence and communications, first gave the information about the crash to Dean before the World could know it. The news of the plane crash, felt Dean, could immediately trigger another India-Pakistan war as the relationship between countries has been tensed for some time. And a war of vengeance could quickly turn nuclear. Tension was also high in the PMO in India lest situation is exploited by the Pakistan Army to declare a war against India. Though eventually nothing of sort happened. To deal with the internal conflicts in Afghanistan, which started in the 70s, the Soviet Union intervened militarily [at the request of the Kabul government] and the troops reached Afghanistan in 1979. After the intervention of Moscow, Pakistan also got involved in the Afghanistan crisis. Pakistan [ in liaison with Washington] sponsored a jihad war against the Kabul government supported by the Soviet Union. Eventually America’s secret war in Afghanistan began and “by 1980, Afghanistan became a flashpoint in the cold war”. India had to play role in the crisis as the involvement of Pakistan meant flow of weapons from CIA. Eventually, to resolve the crisis Ronald Regan and Rajiv Gandhi began their secret dialogue. America expected India to play a role in convincing the Soviet leadership for troop withdrawal. Dean was a personal friend of Rajiv Gandhi. He was instrumental in promoting Indo-US technological cooperation. During his stint in New Delhi, the US, India and Pakistan attempted to rearrange the affairs in South Asia. The US, India and Pakistan worked on a peace plan for Afghanistan which did not take off due to differences. And on the other side, India was unhappy with the arming of Pakistan with American weapons. The letters of exchange between Rajiv Gandhi and the then US President Ronald Reagan showed that it had hit a roadblock. Gandhi felt that India is not getting any benefits on Pakistan and Afghanistan from US. “Everyone seems to betray everyone else. An air crash and explosions were probably not unthinkable in such circumstance.” Expounds the book. The book contains six chapters. One chapter is fully dedicated to the description of the larger situation, which would have led to the assassination of Zia. A full chapter deals with Dean and his role in the Indo-US relationship and the south Asian affairs. 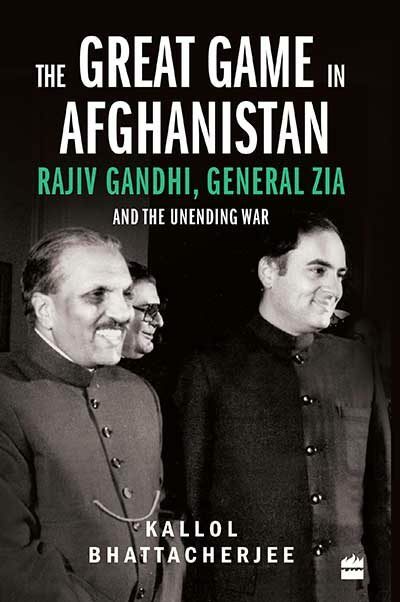 Other chapters exclusively dwell on Rajiv’s western affinities, role of Moscow, and finally the happenings in the month when Zia was killed. The author of the book, Kallol Bhattacherjee is a senior assistant editor of “The Hindu”. The book is an interesting reading like a novel unraveling a deep-seated conspiracy. It’s relevant for the current day’s Indo-Pak relationshipfor it provides a lot of background information.